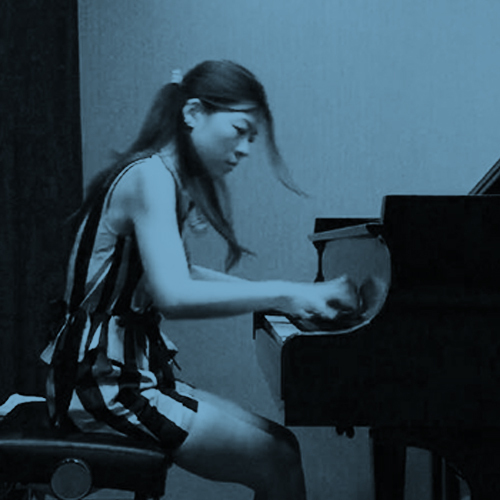 Born in Hong Kong, Fanny completed her undergraduate degree of music composition before coming to the United States for her master degree program in piano performance and musicology. She has over 18 years experience on teaching and accompanying. As a piano teacher, she enjoys teaching students to let them continuously enjoy music. Although she focuses on mostly classical repertoires, she also likes to let students to explore different repertoires in any genres. There are student performances at least twice a year in Fanny’s studio and she sometimes collaborates with other instrumental teachers to have the joint recital as well. As an active musician, Fanny performs frequently and regularly. She performed in many places including Hong Kong, Bangkok, Lisbon, Melbourne, New York, Chicago, St.Louis, Dallas, and Kansas City. In 2017, she was selected to participate in a workshop offered by the Juilliard School of Dance and Music where she performed with the cellist Julian Schwarz. She received the Woman Grant Fellowship to assist her travel to Portugal for the SIPO piano festival and she played in the masterclasses by Paul Skoda, Boris Berman, Luiz Carlos and so on. Her husband, Ryan, is a classical guitarist and they always perform together. Her musicology papers were selected to present in the College Music Society and the Midwest Music Research Collective’s (MMRC) Spring Symposium. Her current research is about Cuban music and musicians in the early 1900s. Besides playing the piano and writing her papers, Fanny also plays the cello and the violin. She likes drawing and organized a successful open art show in 2016. She is an active yogi who practices ashtanga yoga. She has a cat whose name is Miss Cruncher (because she really likes to crunch!). Fanny currently accepted the offer from the University of Kansas and she is going to KU for the Doctoral degree of Musical Art, major in Piano performance and Piano pedagogy.